The Shomron Resident's Committee is calling on the Likud to elect a new party leader - one with true nationalist values. The Shomron (Samaria) Residents Committee says Prime Minister Binyamin Netanyahu can – and should – be replaced. The letter also said Netanyahu’s government had damaged the settlement enterprise – and that it intended to continue damaging it by demolishing dozens of houses under the color of law. "Netanyahu is hiding behind the rule of law and declares any house built on land that is not state land will be destroyed,” it reads. “Netanyahu knows full well a courageous decision on his part could change the conduct of the State Attorney's Office and fix many problems, but he'd rather be a sub-contractor for Peace Now than fulfill his pre-election promises that he would not evacuate even a single settlement." In addition to the letter the Shomron Residents’ Committee has hung ads outlining of Peace Now’s intention to distribute maps defining ‘private areas’ on its own terms for use in court cases – targeting areas like Givat Assaf and the Ulpanah neighborhood in Beit El. The goal, the committee says, is to fit entire neighborhoods built on private property in larger communities into a recent ruling by Israel’s High Court under chief justice Dorit Benisch that defines all land not owned by the state in Judea and Samaria as ‘private Arab land’ – irrespective of whether there is documentation to that effect. The court has also refused to review cases where evidence of private Jewish ownership exists. Committee chairman Benny Katzover also said he was unimpressed with the Netanyahu government’s recent approval of 2000 new housing units in eastern Jerusalem, Gush Etzion, and Maale Adumim. “Instead, the government settled for a minor, cowardly response that does nothing to strengthen Israel – and only weakens it. 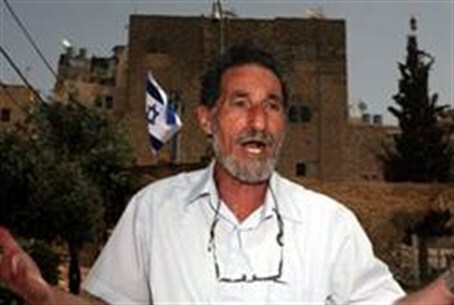 Netanyahu is causing more harm than good and must know the residents of Samaria are not in his pocket,” Katzover added.